A patient being operated for a congenital defect was unable to recover heart function sufficiently, to come off the heart-lung machine and generate adequate systemic pressure. We tried everything but nothing seemed to work. Everyone was beginning to despair. We discussed the matter, rested the heart again, and added some more drugs. We only failed once more. We were absolutely helpless. It occurred to me that we had tried everything but prayer. Prayer for a person not known to me? Would it work? I think that is why it did. As I had been in the theatre for five hours already, I was briefly relieved by a colleague. I came into the corridor outside the theatre and stood silently for a minute, trying to recollect Sai’s face in my mind’s eye. I said a silent prayer for the patient’s recovery. Immediately thereafter, I returned to the theatre. The situation had changed completely. The blood pressure had improved, and the heart had recovered! Strangely, no one knew how or why; I did not say anything to anyone. The incident passed. The patient’s recovery was smooth. 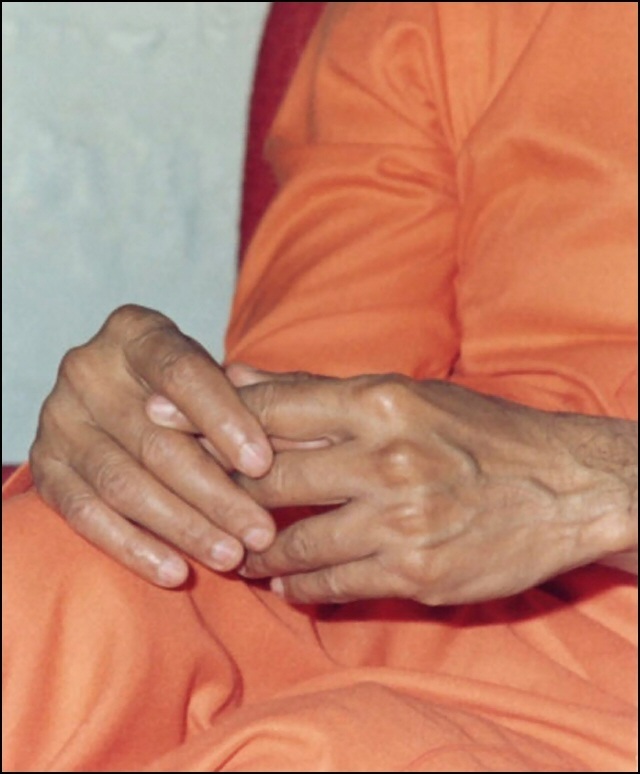 On the Sunday that followed, Swami came to me, created vibhuti, put it into my hands and lovingly said, “This is for the prayer that you said for that patient.” He then proceeded to describe the incident to others. Here was Sathya Sai Baba rewarding me for the miracle. It is not the way of the great to swell when people offer worship, and shrink when people scoff. As a matter of fact, no sacred text lays down rules to regulate the lives of the great, prescribing the habits and attitudes they must adopt. They themselves know the path they must tread; their wisdom regulates and makes their acts holy. Self-reliance, beneficial activity – these two are their special marks. They may also be engaged in the promotion of the welfare of devotees and in allotting them the fruits of their actions. Why should you be affected by doubt and worry, so long as I am adhering to these two? After all, the praise and blame of the populace do not touch the Atma, the reality; they can touch only the outer physical frame. I have a ‘Task’: to foster all mankind and ensure for all of them lives full of Ananda. I have a ‘Vow’: to lead all who stray away from the straight path back again into goodness and save them. I am attached to a ‘Work’ that I love: to remove the sufferings of the poor and grant them what they lack. I have a ‘reason to be proud,’ for I rescue all who worship and adore Me aright. I have My definition of ‘devotion’ that those devoted to Me have to treat joy and grief, gain and loss, with equal fortitude. This means I will never give up those who attach themselves to Me. When I am thus engaged in My beneficial task, how can My Name be tarnished, as you apprehend? I would advise you not to heed such absurd talk. Mahatmas do not acquire greatness through someone calling them so; they do not become small when someone calls them small. Only those low ones who revel in opium and ganja but claim to be unexcelled yogis, only those who quote scriptural texts to justify their gourmandry and pride, only those who are dry-as-dust scholars exulting in their casuistry and argumentative skills, are moved by praise or blame. I do not belong to any place, I am not attached to any name. I have no “mine” or “thine.” I answer whatever the name you use. I go, wherever I am taken. This is My very First Vow. I have not disclosed this to anyone so far. For me the world is something afar, apart. I act and move only for the sake of mankind. No one can comprehend My Glory, whoever he is, whatever his method of inquiry, however long his attempt. Filed under: Bhagavan Sri Sathya Sai Baba, Issues Of Faith, Sai Baba, Sai Baba Of India, Sai Letter, sathya sai baba, Sri Sathya Sai, Who Is, Who Is Sai, Who Is Sai Baba | Tagged: Celebrities, English, Faith, God, Guru, India, Living, Love, News, Religion, Sai, Talk, Truth, World |	Comments Off on Who Is Sathya Sai Baba? The President who came into the Sai Kulwant Hall at 4:35 p.m. for His Divine Darshan was blessed by Bhagawan Sri Sathya Sai Baba with a half an hour audience. At the end of the interview Bhagawan blessed the Presidential support staff with Vibhuti Prasad. After the President and her entourage left the Nilayam, the three students who had performed Burra Katha on the previous day on the life of Mother Easwaramma gave another performance on the life of Shirdi Sai Baba. As is the custom, the artistes began their performance by offering their salutations to Lord Ganesh. As they were offering their salutations to Bhagawan Sri Sathya Sai Baba, the traditional garlanding took place. The students began their interesting narration on the life of Shirdi Sai Baba supplementing it with songs and humour. Delineating on the birth of Shirdi Sai Baba, the artistes said that He was born to Hindu parents Devagiriamma and Gangabhavadia. The Divine couple Parvati-Parameswara appeared before Devagiriamma and Gangabhavadia and foretold that He would be born to them as their third child. The couple who were childless till then gave birth to a daughter and son. On 28th September 1835, Shirdi Sai Baba was born in the village of Patri. Though born to Hindu parents, Shirdi Sai Baba was brought by a Muslim couple. As a child, He used to go to a Hindu temple and proclaim about Allah and speak about Rama in a Mosque. He advocated the concept “Sabka Malik Ek Hai” (One God governs all). From the year 1858, Baba lived in Shirdi. He spent his early days under a neem tree and later lived in the Masjid which he named as Dwarakamai or Mother Dwaraka. Baba used to feed the fakirs and devotees and even cook for them. Baba had a profound love and compassion for suffering humanity. The master used to personally attend to the needs of the sick as a physician and a nurse. Baba distributed the holy ‘Udi’ – the panacea for all troubles to his devotees. ‘Udi’ is the ash from the perpetual sacred fire – Dhuni lit by Baba. The Udi is the token of His divine grace to all who come to Him for help. He begged for alms and shared what he got with his devotees and all the creatures around him. President Pratibha Patil being given a warm welcome on arrival at Puttaparthi on Thursday. PUTTAPARTI: President Pratibha Patil today had a darshan of Sri Satya Saibaba and later had a private audience with the Holy man for over 30 minutes at the Prashantha Nilayam here. The President arrived here at the Satya Sai Airport from Banagalore at 4.10 p.m. and straight away drove to Srinivasa Guest House in the Prashanthi Nilayam. After spending some time at the Guest house, Pratibha Patil drove down to Sai Kulvant Hall. She first had the darshan of the Swamy and later went inside the green room and had a personal talk with Satya Saibaba for about half hour. She left Puttaparti for Bangalore at 5.20 p.m.
Satya Sai Central Trust members, Industries Minister Geetha Reddy, Ananatapur ZP chairperson T Kavitha, Collector V Anilkumar, Rayalaseema IG R P Thakur and SP MK Singh received the President with official honours. Police made elaborate bandobast for the visit of the President. Srinivasa Guest House was taken over by the SPG. Besides dog squads and bomb disposable squads, Armed Reserve Police, seven DSPs, 14 CIs, 26 SIs and 400 constables were deployed for the security. 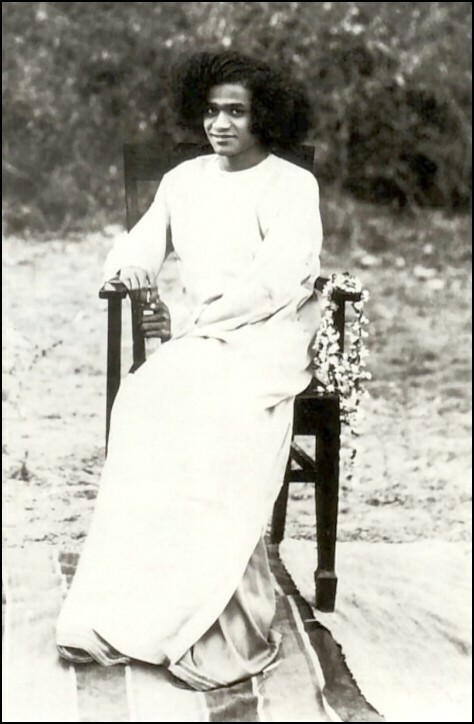 A few years ago at the time when preparations were being made to begin the construction of the Super Speciality Hospital, Bhagawan Sri Sathya Sai Baba seemingly had less time to devote to the students. Day and night He was busy with matters relating to the new hospital. Every evening immediately after darshan Bhagawan would call a group of doctors for an interview and He would discuss with them matters relating to the new hospital, even the most minute details, as this was to be a model hospital. 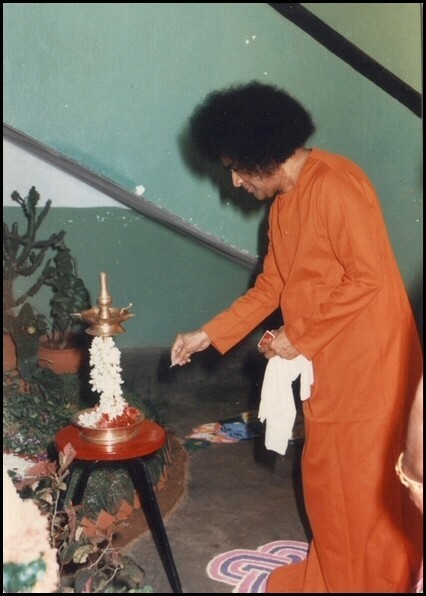 Bhagawan would come out of the interview room only after the evening bhajans had commenced and thus the students did not have much of an opportunity to interact with Bhagawan during this period. Previously after the evening interview Bhagawan would come out and speak to the students and guide them, but this wasn’t possible at that time as Bhagawan was extremely busy. There was one very young student of Bhagawan who could no longer bear the pangs of separation from his mother Sai. He wrote a letter to Bhagawan one day and took it during evening darshan but unfortunately he was sitting a few rows back. When Bhagawan came to his side this boy got up and offered his letter to Bhagawan. 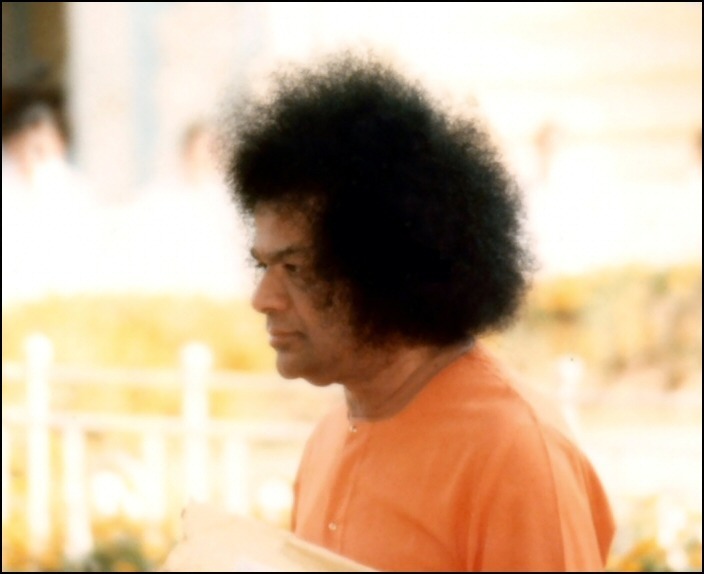 Bhagawan stopped, leaned over and made a special effort to take this young boy’s letter. You have given so much to me and to every one here. You have provided free education for me and all my brothers and now I hear that you are constructing a BIG Hospital that will provide the most modern health care facilities to every section of the society totally free of cost. Bhagawan! I also want to be a part of your glorious mission but I am just a small boy and I don’t know how I can contribute. Bhagawan, my parents are extremely poor but in spite of that they send me a little extra pocket money every month. I know it’s due to their love and concern for me. Bhagawan! For the last three months I have not given my clothes to the dhobi. While all other boys were sleeping in the night I washed my clothes and thus I managed to save a little money. Bhagawan! I have also resisted the temptation of toffees, chocolates and all other things and thus managed to save a little money. Bhagawan! I offer this 100 rupee note to you. I feel ashamed and small to give you so little but even if this money can be used to buy a small brick for the foundation of the new hospital, I will be the happiest child in the world. What do we learn from this? In God’s kingdom power, wealth, position and status are of no importance whatsoever. God only looks to see whether our heart is pure. For, had God looked at the magnitude of one’s sacrifice, would Lord Rama accept the jungle fruits from the hands of Sabari and relish them, would Lord Krishna accept the banana peels instead of the bananas from the hands of Vidura and feast on them and would Bhagawan leave aside a group of highly educated doctors in the interview room and come and spend the time with this young boy? God only searches for our love and devotion. Just before the war Arjuna was full of doubt but after receiving the message of Lord Krishna all his doubts vanished, his delusion was removed, he regained his memory and he told LORD KRISHNA: “KARISHYE VACHANAM TAVA” “I will do as you tell me”. The same principle holds good for our sports meet as well. Bhagawan guides us, inspires us, and mentions to us how the sports meet should be conducted. From then onwards all the students, right from primary to P.G. level, spare no efforts in fulfilling Bhagawan’s wish, even if it means foregoing sleep, food and comfort. The students don’t mind at all. The work done is thus transformed into worship because in everyone’s mind there is only one thought and that is to please Bhagawan Sri Sathya Sai Baba.